There are two main cruise ship ports in Galicia and they are at the large city coastal locations of la Coruna city in la Coruna province and Vigo city in Pontevedra province. 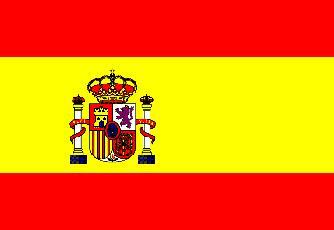 The reason for this is that both of these ports allow an exploration of the beautiful green region of Spain that many tourists miss out on and they also offer the opportunity to take a cruise excursion to the famous city of Santiago de Compostela with its world renown cathedral and pilgrim's history. 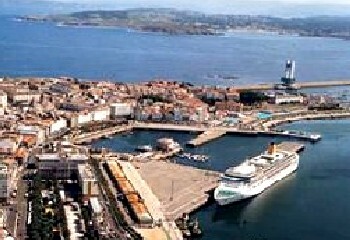 Santiago is less than one hour from la Coruna port and this makes it makes an idea cruise excursion. Although the attractions of Santiago de Compostela will lure many, those whose port of call is Vigo may decide to take in the old world charm of medieval Pontevedra city. Pontevedra is one of Galicia's jewels and its historic quarter is one of the best in the region, if not all of Spain. It is some 30 minutes drive from Vigo and it offers an alternative to Santiago de Compostela. Also close to the port of Vigo lies the cathedral city of Tui. Tui is a small city and it gains its status solely through the presence of its cathedral, however it is certainly worth a visit and local tour companies like Galicia mystic Tours will combine a day long cruise excursion that takes you to Tui and Valenca (just across the border in Portugal). Valenca is perched on a hill top and was once a fortress town that defended the Portuguese – Spanish border from invaders and marauders. For those planning, or having already booked, a cruise that ports at Galicia, taking an organised tour is probably the best way to experience as much as possible within the small window of time that you have available. Unfortunately the cruise line tours tend to be restrictive and limited, often visiting only Santiago de Compostela and this is a great shame when the area has so much more to offer. Galicia has a lot of visitor options, but you can easily miss out on the best bits if you try to go it alone without pre-planning or using a guide. Our advice would be to either, research what you want to see and how to get to it in advance, or to book a day long tour through a reputable local tour company. Often this will take in places and experiences that are not included in the standard cruise companies' tours. The advantage of this second approach is that the organisation and planning are taken out of your hands and given to an expert – and one with local knowledge. The transport and the eating arrangements will also be taken care of and that leaves you the sole task of focussing on sightseeing and experiencing a special day. We frequently receive emails asking for tour company recommendations in Galicia, and the tour company that we recommend is Galicia Mystic Tours and we do this because the owners are English speaking Canadians and Galicians who have been running tours in northern Spain for a number of years. They will accept very small parties and they will customise the tour to the needs or interests of their clients. Importantly, they will also pick you up and drop you off at your port of call.